BURBANK, Calif., July 29, 2005 – Reunite with this classic, young-at-heart female foursome! housemates living together in Miami. that will have you laughing for hours. Available for $39.99 (S.R.P.). <u>Rated</u>: TV-PG. Bonus materials not rated. Miramax, Dimension and Buena Vista videocassettes and DVDs. Last edited by Luke on Tue Nov 22, 2005 7:16 pm, edited 2 times in total. Good News: Golden Girls Season 3 on DVD!!! Bad News: Same worthless extras! UGH!! 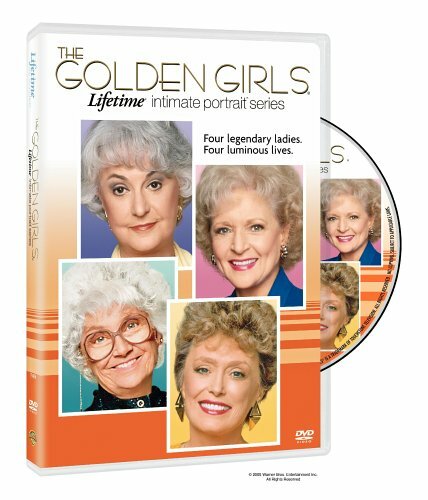 The Golden Girls deserves a high quality DVD treatment, not that bare minimums package BVHE is throwing together. I hate the box arts for each season so far! The girls look so fake in all the pictures! I am really excited we're already up to season Three!! We Want Empty Nest & The Golden Palace on DVD!! I can't wait for season 3! I LOVE The Golden Girls, and I am so happy they are being released on DVD. I wish the extra's were better, but at least I can watch my favorite show, whenever I want. Hopefully, as the season's are released, the extra's will be better. I would love to see some behind the scenes footage, award show appearances, bloopers, commentary, etc. The Golden Girls was a hit on NBC on Saturday nights but not for me. I know that Aaron will buy it because he's a Golden Girls fan. For me I prefer to watch in on Lifetime. Oh, and for those who do not know, Lifetime will begin airing The Golden Palace, the follow-up series to The Golden Girls, beginning tomorrow, August 1st, at 5:30 p.m. Central! I'm excited, as I never even knew about the show, until after it had been cancelled. It will be my first time seeing it, and I can't wait! Hey, it says it's in Dolby Digital STEREO for a change. Hopefully they will actually get the sound right this time. The last two seasons were released in Mono. This was a stereo show from the very first season. Someone really dropped the ball on the first two season sets. I'll keep my fingers crossed that Disney gets it right this time. "She sailed out of the Disney-blue heavens, umbrella in hand, and promptly elicited every gorgeous adjective in the book from reviewers coast to coast." ^What's your source for that? Just wondering. I've looked into it quite a bit, and find only conflicting information, as I discussed in the S2 review. Anyways, the reason I came to this thread - I'd forgotten until tonight that Lifetime has done an <i>Intimate Portrait</i> episode on each of the four Golden Girls. That would be the perfect bonus feature on the Seasons 4-7 sets, along with the reunion special, interviews, bloopers, commentaries (cast and crew), and behind-the-scenes featurettes. A few of the appearances, like at MGM's Grand Opening TV special, should be included too. It's really unfathomable, the treatment this show gets. After having completely failed in this area for two seasons in a row, Disney has finally listened to their fans and given them what they want for the third season of <i>The Golden Girls</i>!!! Seriously, I'm happy to see her on there. Now if we can just get them to treat us to the kind of bonus features that other series of its ilk get. Thanks for posting the new disc art, Luke! It should be noted that Sophia did, in fact, appear on Disc 1, Season One. She's sitting in front of Dorothy, and Dorothy has her hands on Sophia's shoulder. For some reason, I guess nobody else has realized this, because at www.the-goldengirls.com , everyone seems to think that Sophia has never appeared on the Disc art. She was not on any Season Two Disc art, which seems unfair. I'm off to watch The Golden Girls, and The Golden Palace, which is now starting on Lifetime TV. If anyone is interested here's the cover art for the The Golden Girls: A Lifetime Intimate Portrait Series. Ah, right you are. I guess I was thinking that because she wasn't on the last one, that she hadn't been at all (and that's probably what the ggbiz folks were thinking too). Plus my Disc 2 has been covering her up since it lays over it, and i haven't pulled out either of those two discs in a while. Thanks for posting the Lifetime DVD cover art... it looks really good! (Better than Disney's releases have). 00:03:03:09 ROSE - SCRAPBOOK STRING 2 - WHAT WAS I SAYING? Sound like the highlight reels that HI offers. A tiny step above nothing. I think people would even rather see 30-second promos for the season's episodes before that. ^What date? My NYC friend will be home for Thanksgiving next week, so if she's there on the right day, I'll have her get an autograph for me in addition to herself. BTW Aaron, when will the review be up? Just got it in this evening, so I'm not sure, but as soon as possible!